JOHANNESBURG – HUAWEI has recorded a 24,3 percent increase in revenue to CNY204,536 billion (US$30,45 billion) from Europe, the Middle East and Africa (EMEA). high-end and mid-range smartphones, a growing share of the smartphone market and the accelerated pace of digital transformation in its enterprise business. According to Huawei’s annual report, the company maintained strong business growth in 2018. 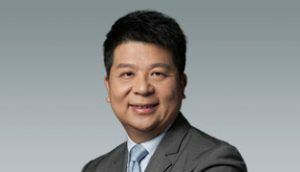 At the release of its annual report, Guo Ping, Huawei’s Rotating Chairman, said, through heavy, consistent investment in 5G innovation, alongside large-scale commercial deployment, Huawei was committed to building the world’s best network connections. “Throughout this process, Huawei will continue to strictly comply with all relevant standards to build secure, trustworthy, and high-quality products,” said Ping. Ping said the company would continue to strengthen operational compliance, ensure business continuity and sustainability, and cultivate an open ecosystem where all players collaborate and prosper together.